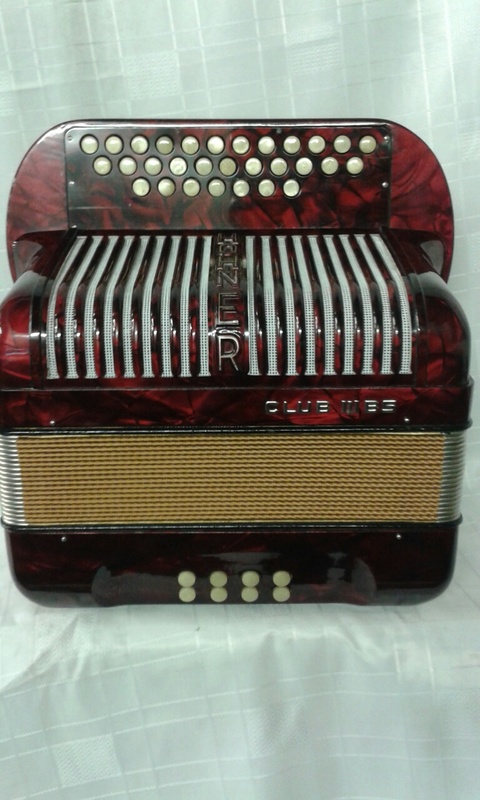 A fantastic little Hohner Club III BS Melodion. This two and a half row box is in C/F tuning. It has recently benefitted from a full overhaul and has been very well looked after indeed by the previous owner. It was made in Germany the 1960s. It has three sets of reeds (LMM) & two switches on the rear of the treble keyboard to change the sounds. There are four different sounds available ; L, M, LM, MM. It is finished in a lovely dark red pearl with newly re-taped gold bellows trim. Presented for sale in excellent condition throughout. 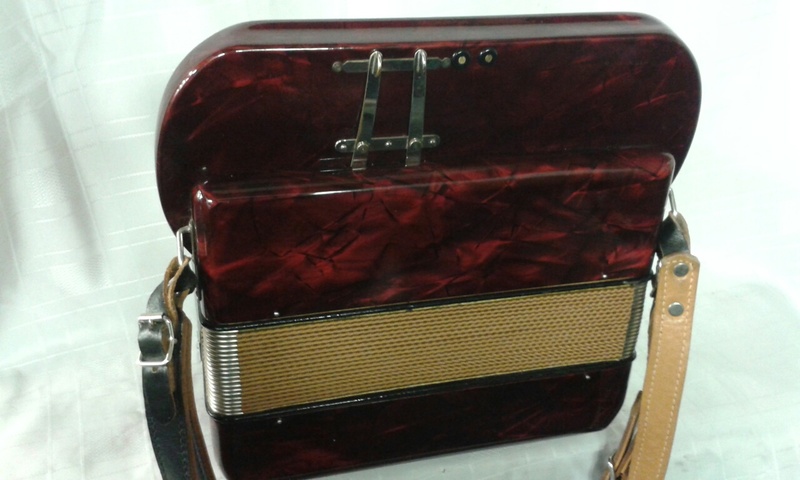 FREE UK mainland delivery on this melodion. This Hohner Club III BS Melodion comes complete with your choice of either a soft gig bag or a hard case included in the price, padded shoulder straps and a one year component parts guarantee. 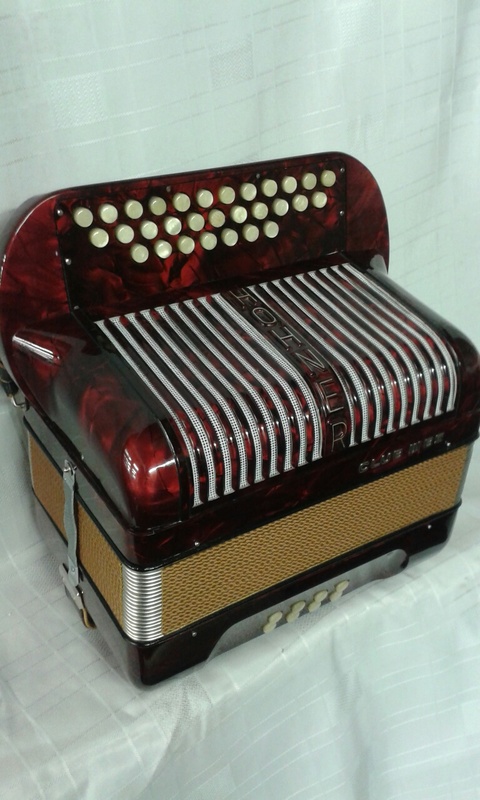 Don’t forget, free delivery of this excellent value for money Hohner Club III BS Melodion to most parts of mainland UK is included in the price! Weight: 5.44 Kg. - 12.3 Lbs.